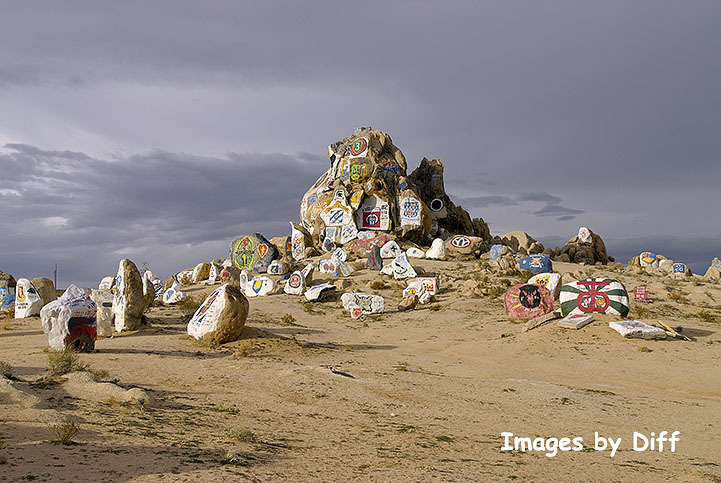 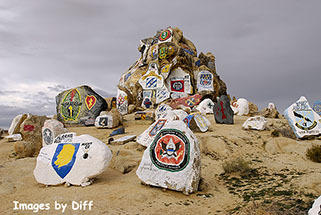 click photo to enlarge I happened to be driving towards Fort Irwin in the Mojave Desert and came across this artwork called "The Rockpile". 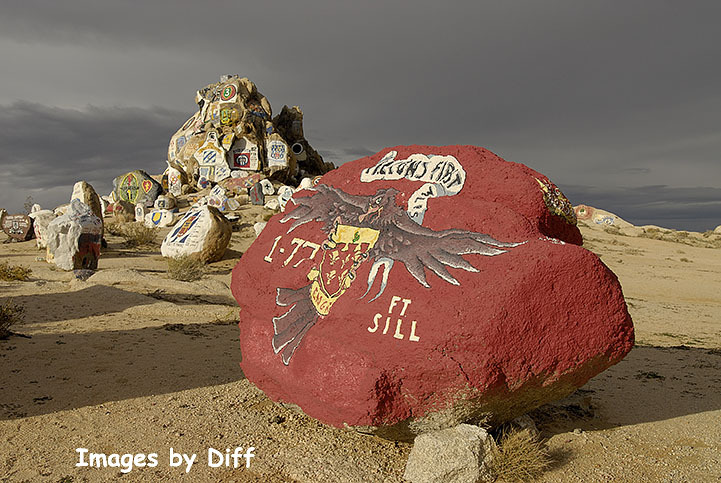 It was a very unusual sky and lighting and the sun peeked out for less then 60 seconds and made it even more dramatic. 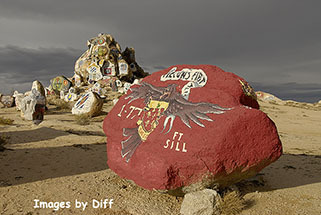 A few of these pictures will have very defined shadows because it during this brief period of some sunlight. 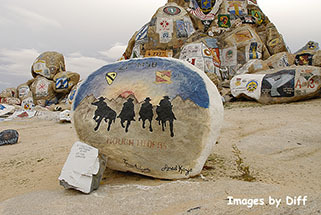 click photo to enlarge It seems that soldiers who have passed though Fort Irwin for training, the individual units, leave their mark for all to see. 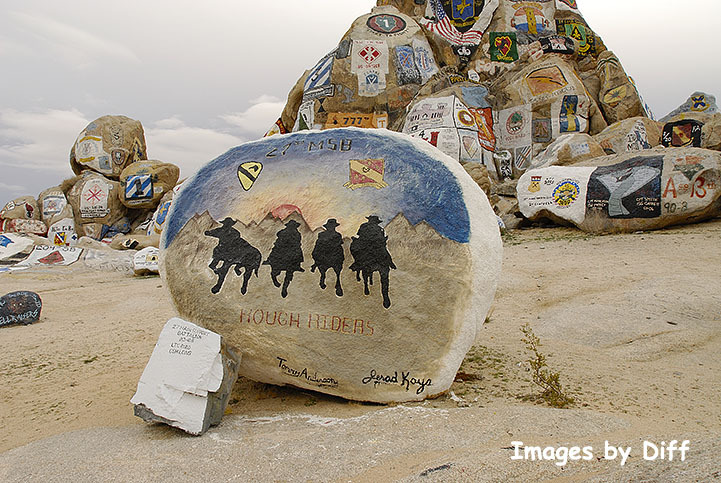 They are really very stunning and moving to see knowing all the brave soldiers who trained here to then go fight for our countries freedom. 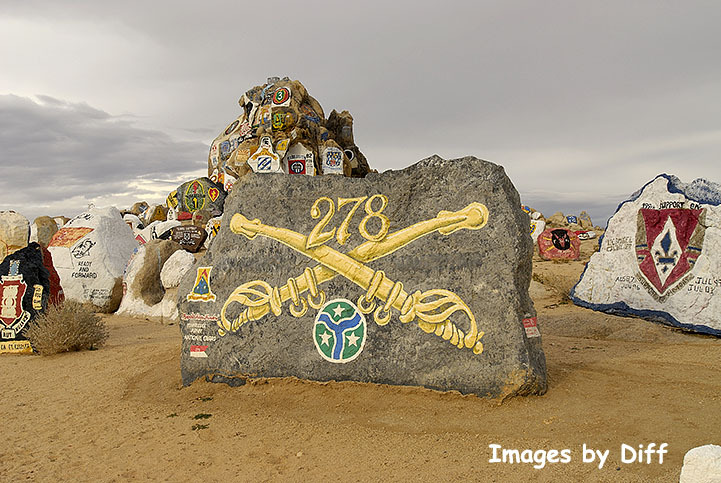 click photo to enlarge The Army's National Training Center is at Fort Irwin and it provides desert training. There are many signs showing tank crossing but on this day I did not see any. I was on the way to the Goldstone Deep Space Tracking Station.